One of the most talented players in the game today, Neymar Jr., has signed for Paris Saint-Germain after the club triggered his release clause at Barcelona for €222m. This is the highest fee ever paid for a footballer and it is more than twice the amount Manchester United paid for Paul Pogba last summer. After signing the deal and agreeing to a €30m per year after-tax salary for the next 5 seasons, which makes him the highest paid player in the game, Neymar will be joining some of his best off-field friends at the new club. PSG is already home to Marquinhos, who Neymar vacations with, Dani Alves, who he was inseparable with at Barcelona, Lucas Moura, who he has been playing with since they were kids and last but not least the Brazil national team captain Thiago Silva. The critics of the deal would argue that there is only one direction to go after playing for Barcelona FC and that is backwards. Perhaps the truth is that Neymar won everything there is to be won in club football with Barca and at age of 25 it is a great time to move on and start a new life, at a new club, in a new league, playing for a team with great aspirations that will be built around him. This is a chance for Neymar to step out of the shadow of Lionel Messi and try to lead his team towards winning a Champions League trophy, which is the primary goal of the Qatar Sports Investments group, the wealthy owner of the Paris based club. Neymar will have a chance to collect more accolades along the way and potentially win himself a Ballon d'Or, something that would have been a nearly impossible task while playing alongside Messi. The enormous fee paid for the services of the star Brazilian will be discussed and scrutinized for months to come. The UEFA is sure to look at the deal from the Financial Fair Play point as well. Paris Saint-Germain, if things go as planned, will make their investment back with ease through shirt sales and other marketing efforts. 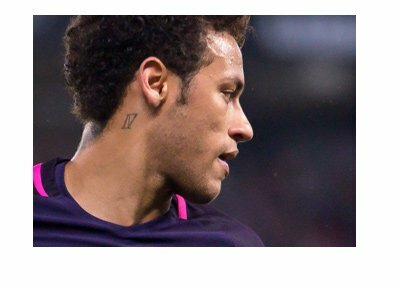 Afterall, Neymar is one of the most popular sports figures on the planet at the moment. Neymar will be wearing the number 10 jersey, which until recently belonged to Zlatan Ibrahimovic, and for one season to Javier Pastore. Good luck Neymar. Exciting times ahead.